The Association for Asian Studies expresses its strong concern over the detention of at least 800,000 and up to 2 million Uyghurs and other Turkic Muslims in political “re-education centers” in Xinjiang, Northwest China.1 Turkic Muslims have been interned, imprisoned, or forcibly “disappeared” since April 2017.2 Such detention constitutes a major violation of human rights and, in the case of our academic colleagues, a clear disregard for academic freedom. A still from Zhang Yimou’s directorial debut Red Sorghum (1988). It has been 41 years since China’s Fifth Generation filmmakers started classes at the Beijing Film Academy, and 35 years since The Yellow Earth, directed by Chen Kaige and photographed by Zhang Yimou, changed the face of filmmaking in the country. The Chinese film industry has modernised so quickly that the innovations this disparate group brought to filmmaking in the country, and the courage they showed in the face of censorship by the state authorities, has been all but forgotten. This website is conceived as a translation platform for long ignored literary pieces of the early 1910s. Its main purpose is to provide China focused scholars and students with a representative selection of famous literary works of that time, which covers the end of the Qing empire and the first years of the Republican era. 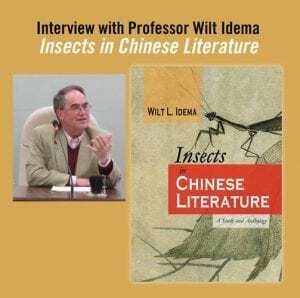 Most of the pieces translated here were written in Classical Chinese, usually in the elite form of pianwen 駢文 (paralleled prose), and serialized in political newspapers such as People’s Rights (Minquanbao 民權報, 1912-1914). I choose to focus on what I suggest to label “early Mandarin Ducks and Butterflies” (1912-1918) writers. 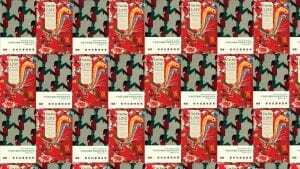 This group, contrary to others novelists and writers often conveniently gathered under the deceptive label “Mandarin Ducks and Butterflies,” manifested and claimed a sense of unity. Acting as leading figures of this group were Xu Zhenya 徐枕亞 (1889-1937), Wu Shuangre 吳雙熱 (1885-1934), Xu Tianxiao 徐天嘯 (1886-1941), Li Dingyi 李定夷 (1890-1963), and Liu Tieleng 劉鐵冷 (1881-1961). I have been trying to think of how to respond to Magnus Fiskesjö’s remarks, which astonished me because they seemed so totally off the mark and indicated that he was not really acquainted with Li Xueqin’s publications. Thus, his response to Ian’s Johnson’s clarification is useful in at least giving me some idea of where he is coming from. I do not know the context of the statement Li made to this group of Western scholars about believing the ancient texts, but it does show that he was never a sycophant whatever his audience. I want to thank Ian Johnson for the clarification. Glad to be corrected on that score (#1). I should not have lumped both obituaries together like I did there. I guess I got hung up on the end where he comes across as a critically thinking scholar, “But now we can see that the past is always changing.” It might be that those things could go together, and perhaps could go together in him. I feel a bit awkward to bring up criticism so soon after his passing, and so I tried to acknowledge he was indeed a great scholar — but also, deeply conservative, in a truly harmful way. — I’m grateful for the impetus from your obituary — in contrast to the other one, which is also valuable, but does not mention these issues — to look again at the whole idea of “Believing the Ancients,” that Li pushed: One worthwhile piece is Lin Yun’s article 真该走出疑古时代吗?——对当前中国古典学取向的看法 [Should the Era of Historical Skepticism be Transcended?] in Shixue jikan No. 3, 2007, in which Lin argues forcefully and explicitly against Li Xueqin, that no good reason has emerged in the various new discoveries of recent decades (bamboo strip versions of books, etc.) for scholars to abandon their skepticism of the ‘old books’, and the general critical spirit inherited from Gu Jiegang and others. On the contrary, such a stance should to be a permanent stance going into the future. Yet at the conference on ancient China where I once met and heard Li Xueqin, outside Chicago in about 1992, Li’s chief mantra was ‘wo xiangxin gushu,’ “I believe the old books,” spoken to a roomful of Western scholars as if to correct us foreigners in what he suspected was our wrongheaded stance of looking critically at everything, no matter how revered. I also devoted a large chunk of the obituary to his work in pushing 信古, including his work on the Xia-Shang-Zhou project and how it was criticized by many scholars. Professor Fiskesjö’ perceptively asked about the Guardian’s statement that Mr. Li was 86 years old. I wondered about this myself. This was the age given by the official obituary in China, which adopts a way of dating people that I’ve found common in China. It isn’t quite the traditional way, as the person doesn’t gain a year right after 過年, but instead the age is simply calculated based on the birth and death years (in this case, 1933 and 2019). And so the obituary might have simply adopted that. However, Mr. Li was born on 28 March 1933, and as a western publication the Times used the western way of only adding a year to someone’s age after they’ve passed their birthday. Hence, to us, he was 85 years old when he died.